With the growing awareness by Americans of the hazards of cell phone usage in cars, the NYTimes also found (in a NYT/CBS NEWS poll) that 50% of Americans hold the view that texting and driving should be punished at least as harshly as drunk driving. This attitude is fortified by published studies indicating that drivers using cell phones are four times more likely to have an accident than other drivers. In fact, the likelihood that someone using a cell phone will crash has been shown to equal that of a driver with a .08 percent blood alcohol level, the level considered “impaired” in many, if not most, states. no state has banned the use of cell phones while driving entirely. The most that has been restricted is the use of hand held devices. Federal employees are not allowed to text while driving, pursuant to an executive order issued by President Obama. For the Personal Injury Attorney, the issue of distracted or impaired driving while using a cell phone has become an entirely new area to be investigated in automobile accident cases. This is also a new area for litigation and discovery. There will, undoubtedly, be judges across the country that will be reluctant to permit opposing parties access to the cell phone records of their adversaries. Nevertheless, as knowledge about the horrific hazards cell phone usage poses while driving becomes more widespread, our courts will hopefully expand dramatically their tolerance for the discovery of cell phone records. Currently, any experienced Personal Injury attorney will make every effort to obtain cell phone records of an opposing party if there is the slightest indication that cell phone usage may have been a contributing cause of the accident involved. “For the second time in five weeks, a New York City police officer has been arrested on charges of killing a pedestrian while driving drunk, this time in the Bronx, officials said on Friday. 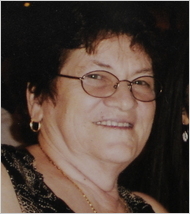 Drana Nikac, 67, was killed. The scene, Kingsbridge Avenue at West 232nd Street in the Bronx. It was the second recent fatality with a police officer at the wheel. About 6:30 a.m., the police said, Detective Kevin C. Spellman, 42, a 22-year veteran of the Police Department, was driving south on Kingsbridge Avenue in his government sedan when he struck the woman, identified by relatives as Drana Nikac, 67, as she crossed the avenue near West 232nd Street in Kingsbridge. Drunk Driving Accidents in New York should not be tolerated, especially by those that are commissioned with the protection of the citizens of New York. This is not only just an incident of Police Misconduct in NYC, this is seemd to be a further sign of a culture that seems accepting of shirking the responsibility to its citizens. If you have been a victim of police misconduct or a drunk driving accident in New York, make sure to stand up for your rights and make your voice heard. As citizens we have the responsibility to keep our protectors in check.